The Busy Elf--Some lovely crocheted handmade stuff. Keshrie (pronounced Kesri) is a mother to two boys aged 9 and 7. Her home town is Darjeeling and she speaks fondly of the memories it holds. She moved to Bangalore along with her husband, nine months back, leaving her two sons with her mother. She works part-time as a house-help in my home. Keshrie is extremely good at her work, very efficient and always goes the extra mile. Even though she really misses her sons (she talks to them on the phone every single day) she is cheerful and pleasant. She is also very punctual. Some weeks back Suma of Aalochane had gifted me some lovely crocheted stuff that she had hand-made. I totally loved them and felt so honoured to receive such a gift.When I brought them home, Keshrie saw them and her eyes lit up. She said she knows how to crochet and has fond memories of a herself as a little girl, sitting at her mother's knee, watching her mother crochet. She added (a bit wistfully) that if only she could get hold of some thread and crochet needle, she could make them. She has not been around much in Bangalore (She works as a house-help at another home too so her days are really busy) and had no clue where to buy yarn and needles. When I went out the next day, I decided to buy some yarn and crochet needles for her. She was delighted with it. When I saw the stuff that she began making, I was so totally blown away by her talent. Every single day, she had a hand-made gift for me or my daughter! She works late at night, after all her chores are done and her happiest times are when she is crocheting. Like a true artist, she forgets everything else when she crochets. I started giving her ideas and suggestions as to what she could make next. I would suggest it and lo behold the next day it was made! Here are some of her lovely creations. Book marks for that friend of yours who loves to read! or gift them to yourself! Crocheted outfits for your daughter's dolls. Isn't the stuff she made really pretty? Moved by her creativity, talent and hard-work, I decided that she really deserves a wider audience and she needs to sell her stuff. So, I created a Facebook page for her a few minutes ago. All the money from sale proceeds of her products will go entirely to her and she plans to use it on her sons' education. Today was a happy day for Keshrie and me as she made her first sale. (Rs.1000/-! Four Barbie doll outfits and two hair bands). While a rupees thousand may not sound much, it does make a huge difference to her. Keshrie was really delighted. She told me several times that she couldn't believe it and it was like a dream come true. If you like the products she makes and you want to be a part of Keshrie's journey then do have a look at her Facebook page (which has all the products and prices) and please order stuff from her. Shipping charges will be extra. (perhaps Rs.100). 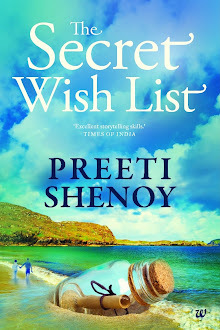 You can mail me your orders on ps(at)preetishenoy.com and I shall do the needful on her behalf. Even though I barely have time for myself, (I amworking on my fourth book among a whole hoard of other things) I badly wanted to do this for her. She totally deserves it, don't you think? You know you have given someone a reason to smile. God bless you. and Keshrie will definitely have her talent noticed. I liked her works before you post them on ur blog. I got notification from itshandmade website. Will be surely buying some soon! Thats all so wonderful - Both her amazing skills and your efforts. All the Best to her on her new venture. Totally blown away by your act here - big big hug to you. truly a wonderful gesture preeti- god bless you and of course the artist keshrie. Hope her creativity gets a wide horizon and appreciation comes in all forms ! This is what makes you different from others. You are busy...with ten different things...but you make an effort to improve other people's life. Hey ma'am that was a real good initiative on your part.. Yes of course I will LIKE the page..
No words from my side!!! she totally totally deserves all this!!!! She is amazingly talented! and it is commendable that she is nurturing her talent despite long hours of physical work! :)Cheers to her! You are such a sweet and thoughtful person Preeti! You are indeed a role model for me. Just the purity of heart and kindness that come ever so naturally to you makes me look upto to you. Keshrie's stuff is super amazing . It is really creative, neat and the colors look happy. She is awesome.Please do convey my message to her. A wonderful thing you have done for her. Lovely stuff she creates :) and it is so heartening to see you going out of the way to help her!! People like you make the world a bit more beautiful! Smiles. Ankita. I loved the bookmarks...she s really talented. Preeti, you have such a generous heart...loved reading about the effort you put in to give a helping hand. May Keshrie go from strength to strength! The crochet creations look beautiful. I liked the bookmarks in particular. Resulting the perfect celebration is on the cards, and flowers just add extra bit of colorfulness onto that. Indeed, it’s the creation from nature that compliments the priceless emotions that a heart hosts. In the form of mind blowing floral stuffs and other gifts, really HongKongFlowersDelivery.com has dome something incredible. The link at www.hongkongflowersdelivery.com gives full details. Awesome Blog i have never seen this much blog keep it on. Wow amazing work and I am glad you have her full support..God bless both of you and I am sure with her amazing talent she will surely go places!!! the hair clip and band i guess are very innovative! Ahhh...how very talented!! ANd how very nice of you! She is extremely talented n whats more IMP is she's been guided n encouraged by YOU..I am a bigger fan of you for doing such a gr8 job for her. Hey Preeti, that was really generous of you. Am really touched. Checked out the store but the one thing i thought of buying was out of stock. Will keep checking if its in stock.. Despite being a busy mom, artist and writer, you had the heart of a Good Samaritan to pause for a while and bring sunshine to the life of another woman. Well done, Preeti... Enchante! 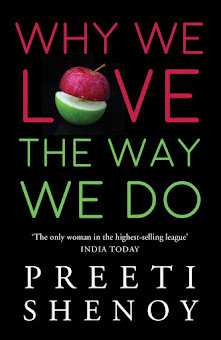 Hats off to you, Preeti. Despite being a busy mom, writer and artist, your heart of gold prompted you to pause for a while and make a big difference to the life of another woman. Really wonderful. Enchante!